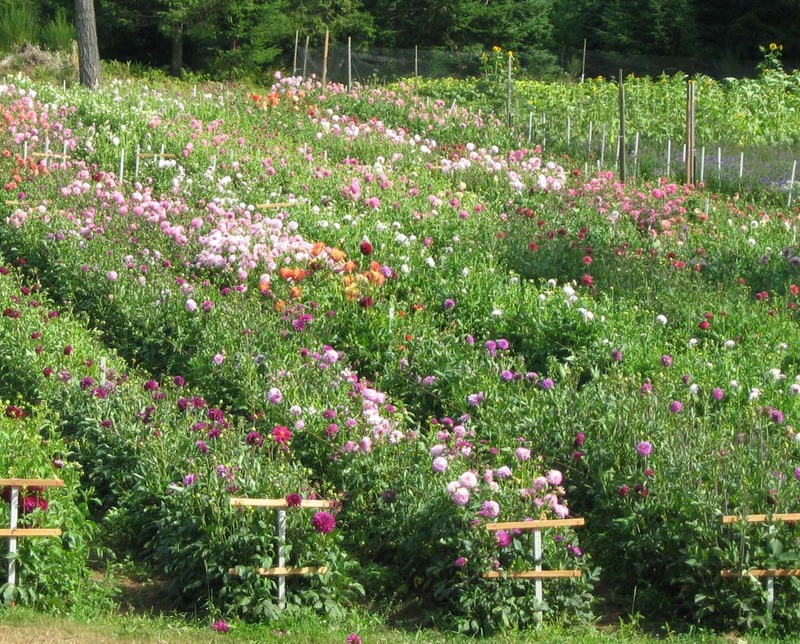 You can save money this season and have beautiful garden flowers by late July when you shop the featured dahlia varieties listed each week at Lynch Creek Farm. size and form for flower arrangements. Each week the gang at the farm picks a handful of favorite dahlias that produced amazing numbers of tubers in last year's ideal growing conditions. That abundance in the dahlia field means great bargain opportunities for growers who want to start or add to a dahlia garden. These dahlias represent an abundance of gorgeous forms, colors and sizes. Among the current features is Just Peachy, a semi-cactus type with good, strong stems and a nice growing habit. Its nice five-inch size — big enough to be visible, small enough to be manageable — makes it ideal for flower arranging. Savings on the week's picks are up to 50 percent per tuber, and at Lynch Creek Farm, you are assured of high-quality, healthy dahlia tubers. You can sign up for e-mail notification of these and other bargains on the home page of Lynch Creek Farm's Web site. 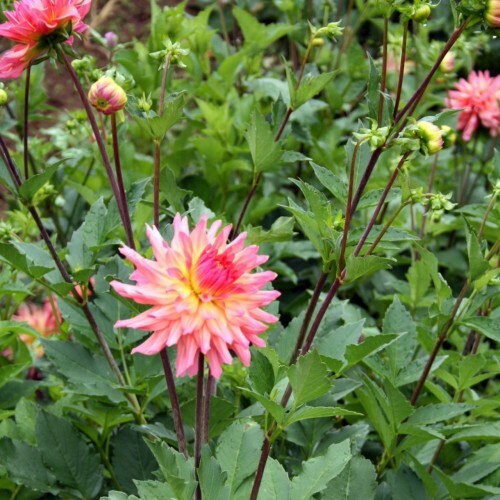 You can shop from the whole range of overstock dahlia tubers by going directly to the overstock list of dahlia tubers on the Farm's dahlia Web site. These are the same high quality tubers you'll find in the general catalog and in the Lynch Creek Farm booth at the Olympia Farmers Market. Overstock tubers are simply those tubers that the Farm has in abundance. Some are attributed to plants that just did amazingly well during the previous growing season. Others are the result of a larger stock of plants in the field for the flower market: those dahlias with good keeping quality, strong stems and abundant blooms. Lynch Creek Farm grows dahlia flowers for its Olympia Farmers Market stall, for Lynch Creek Floral in Shelton, for Whole Foods and for weddings. Each plant makes numerous tubers during its growing season, so when the season's over and the tubers are dug for storage, there are more tubers available for the coming season. Take Simple Steps for Chances at Free Dahlias! Dahlia fields at Lynch Creek Farm. Those who "like" the Farm on Facebook are also in line for future prizes as well. Drawings for this season's dahlia contest begin June 1 and will take place for four months. Want to increase your chances for a win? Double the odds by going to the right-hand side of this blog and becoming a "follower." You'll be entered again, and you'll have the added advantage receiving the blog regularly so you can stay tuned to the progress of the farm's beautiful cycle of planting and harvesting, with great tips for growing beautiful healthy dahlias and the opportunity to share your own comments and successes.